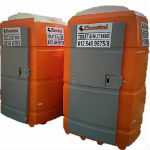 Our chemical toilet products ranges from economical units suited for the most unforgiving environment, to deluxe flushable units for site offices and managers. 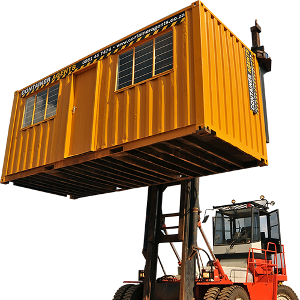 We also offer luxury trailer units for those special site visits or functions. 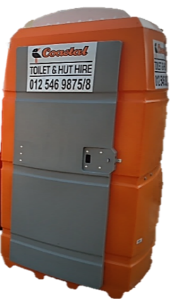 Our weekly services in the Gauteng area range from Alberton in the south to Hammanskraal in the north, Brits in the West to Donkerhoek in the East. 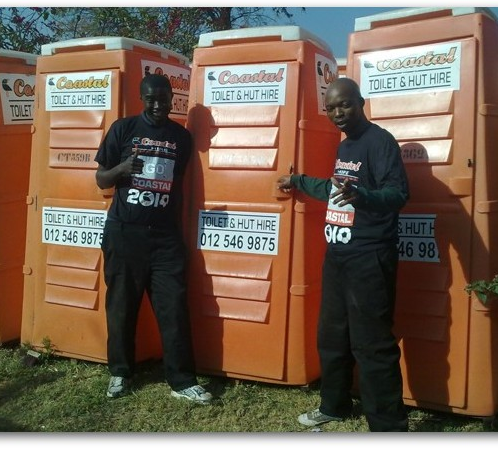 And in the Cape Town area from Vredenburg in the west, to Caledon in the South and as far as Hopefield in the North. 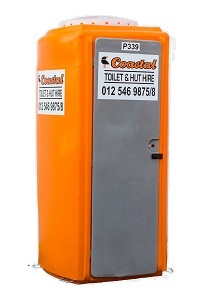 Our most cost effective offer site toilet. Maximum suggested usage: 10 adults per day. 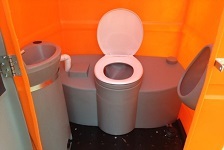 Durable flushable toilet with hand-wash basin and soap dispenser. 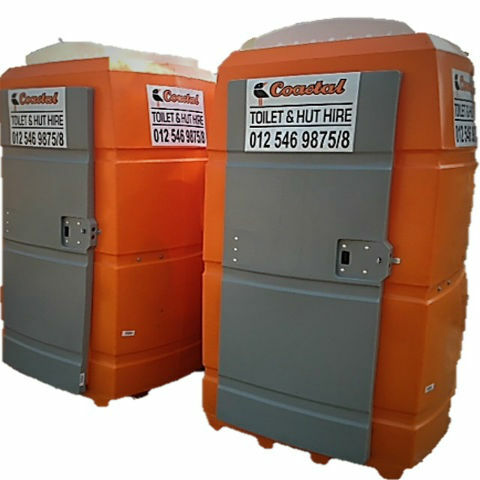 Toilet hut with standard cistern toilet. Need to be connected to sewerage network. 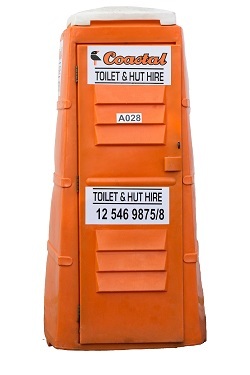 Ideal for job sites with access to sewage network. 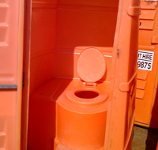 We also provide vacuum pump services, including cleaning of Septic Tanks. Please contact us for detailed quotation and volume discounts. 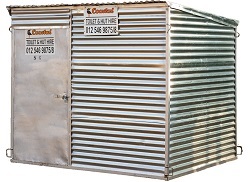 Availability of products and prices vary between different branches, kindly contact us for a quotation. First month's rental and delivery charges are payable in advance.